Welcome to the best epic underwater shockwave brawling game your eyeballs have ever witnessed! Created during the Global Game Jam 2017. 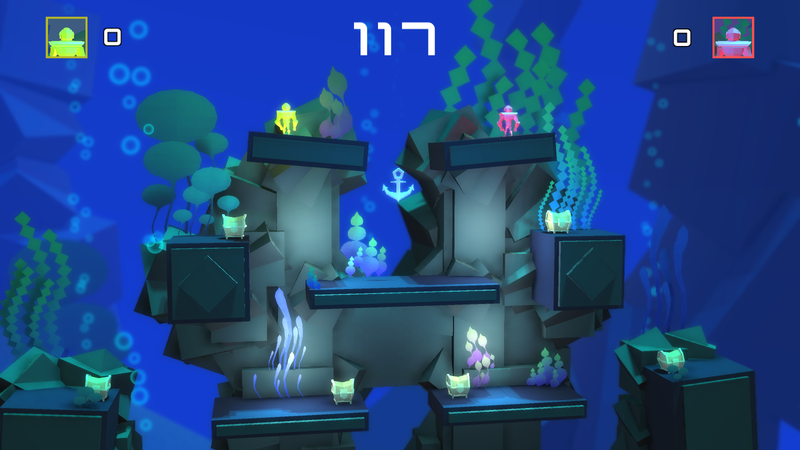 This game is a fast paced 2.5D platformer where players charge and release shockwaves to knock their opponent off into the deep, dark abyss of the ocean. Jump, double jump, wall jump and run your way around the level, charging and blasting your shockwaves to knock crates and your opponent around! Download the zip, unzip it. Run the Underwater Battleshock Supreme.exe to play the game. It's recommended to use 2 usb XBOX360 contollers to play the game! Keyboard is an option but doesn't deliver the right experience.